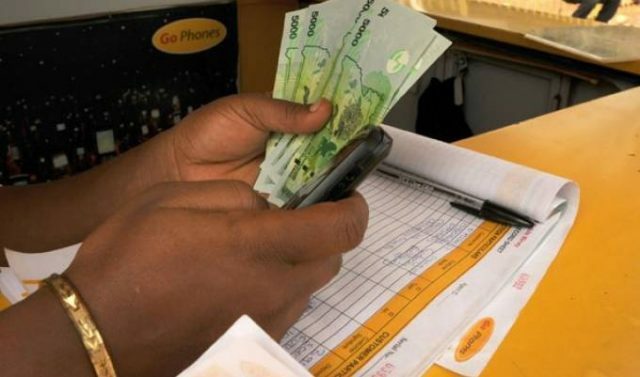 In its bid to promote financial inclusion in the country, Telecom Giant MTN Ghana, has launched a 30-day loan facility dubbed: “Qwikloan”, in collaboration with afb Ghana to help customers access to capital to enhance their businesses. Speaking at the launch, the General Manager for MTN Mobile Financial Services, Eli Hini said the introduction of the Qwikloan is to meet their customers at the point of their needs. This was indicated in a release copied Newsghana.com.gh on 6th December, 2017. According to the release, Mr. Hini indicated that, with this new product, customers don’t have to go through all the huddle to provide proof of collateral in order to access the loan. Mr. Hini noted that customers can access up to ¢1,000 by just using their MTN Mobile Money and airtime more frequently and also commit to repay their loans on time. “Everyone needs to solve a need in life at a point in life, sometimes it is very difficult getting financial assistance from family and friends to solve that need,” The manager said, according to the release. Accra – December 6, 2017 – MTN Ghana, the leading telecommunications network in partnership with Afb Ghana, a regulated financial Institution and subsidiary of the Letshego Group, has launched an innovative mobile money loan product. The first of its kind in Ghana, QWIKLOAN is a short-term, unsecured loan underwritten by Afb Ghana and available on MTN Mobile Money. The product is currently a 30-day loan with a 6.9% one-off fee. Loan amounts start from as low as GHS 25 and can go up to GHS 1000 with good repayment pattern. Eligibility is based on frequent use of MTN Mobile Money and Airtime. QWIKLOAN can be accessed by MTN Mobile Money subscribers by dialing the short code *170# and selecting option 6 on the menu to register and access the service. Once registered, customers can request for a loan, repay, check their balance and view additional information all from their phones. Arnold Parker, Managing Director of AFB Ghana said: “we are committed to increasing financial inclusion throughout Ghana in line with the Bank of Ghana’s strategy for inclusion and development.” Parker added that “in the pilot phase of this product we saw high demand and take up among the Micro, Small and Medium Enterprises (MSMEs) that needed working capital. Over 60% of customers in the pilot indicated that they will need QWIKLOAN in running their businesses. Afb and MTN Ghana are working with JUMO, a leading emerging markets predictive analytics and technology platform to deliver this product. Utilizing Afb Ghana’s capital expertise and MTN’s extensive Mobile Money platform this partnership will aim to financially include more Ghanaians than ever before and empower MSMEs.